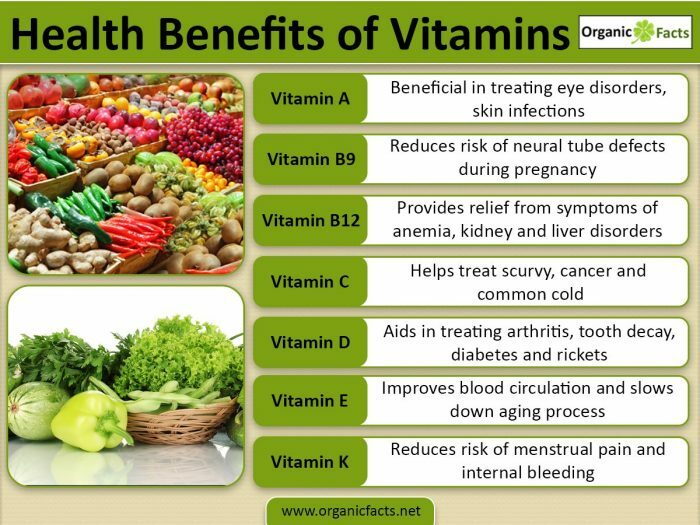 The health benefits of vitamins include their ability to prevent and treat various diseases including heart problems, high cholesterol levels, and eye and skin disorders. Most vitamins facilitate many of the body’s mechanisms and perform functions which cannot be performed by any other nutrients. Vitamins can be consumed in a variety of ways. Most common vitamins are acquired through the foods we eat but depending on your cultural or cuisine traditions, you may possibly have lower natural vitamin intake. Therefore, the nutrition industry has made supplements available that can boost the vitamin content in your body. A multivitamin is often considered the best option for improving the overall balance of your body, particularly if you have a job or a lifestyle that frequently causes you to miss meals, eat at strange times, or eat the same food very often. Click on any of the vitamins below to find out more about its health benefits. Vitamin A or Retinol is useful in treating eye disorders, acne, skin disorders, and infections, as well as speeding up the healing process of wounds. It is also good for preventing macular degeneration and cataracts. As a carotenoid, it also helps improve the health of your hair too. Vitamin B1 or Thiamine can prevent beriberi, heart diseases, and indigestion while boosting the body’s metabolism, blood circulation, and brain development. This vitamin, along with vitamin B2 and B3, is essential for elderly patients who need extra nourishment for those who are at a high risk of dementia or Alzheimer’s disease. Vitamin B2 or Riboflavin helps treat cataracts, skin disorders, and anemia, while also improving the body’s metabolic activity, immunity, and nervous system. Vitamin B5 or Pantothenic Acid can relieve stress, and treat arthritis, infections, skin disorders, graying of the hair, and high cholesterol levels. Vitamin B6 or Pyridoxamine is useful in the treatment of diabetes, piles, convulsions, morning sickness, excessive menstrual bleeding, stress, insomnia, and motion sickness. It is also associated with reducing homocysteine levels in the body. Vitamin B7 or Biotin can treat skin disorders, improve the body’s metabolism, and boost hair health. Vitamin B9 or Folic Acid is a very powerful tool against anemia, indigestion, sprue, abnormal brain growth, skin disorders, and gout while also increasing red blood cell formation. It is mainly associated with the prevention of neural tube defects and is increasingly studied in relation to inhibiting homocysteine levels, thereby, protecting against coronary heart diseases. Vitamin C or Ascorbic Acid helps treat various eye disorders, cancer, scurvy, common cold, infection, diabetes, stress, high blood cholesterol, heart disease, cancer, high blood pressure, kidney disorders, internal bleeding, piles, corneal ulcers, inflammation, and lead poisoning, while also boosting the immune system. In recent years, it has also been associated with the prevention of cognitive decline and cerebrovascular diseases. Vitamin C is one of the most powerful and essential antioxidants in our body. Vitamin D treats rickets, arthritis, tooth decay, diabetes, and prevents osteoporosis. It is very beneficial for bone repair, boosting immunity, and lowering blood pressure. Vitamin D has been positively linked to preventing different types of cancers, and multiple sclerosis in patients suffering from osteoarthritis. Vitamin E or Tocopherol is often used for skin care because of its anti-aging properties, and as a way to improve blood circulation, and protect against heart diseases, sterility, and brain malfunction. It also gives relief from symptoms of menopause, painful menstrual cycles, and eye disorders. 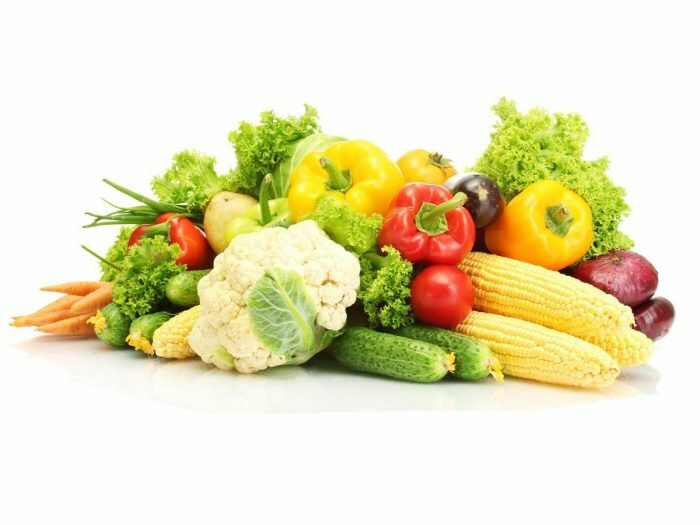 Vitamin K is a very important vitamin that prevents internal bleeding, biliary obstruction, osteoporosis, excessive menstrual flow, and menstrual pain. Other benefits include its ability to improve blood clotting, bone metabolism, nerve signaling, and prevent atherosclerosis and kidney stones.